The Batavian continues to grow. Most recently, we've been fortunate enough to meet up with three young women who aspire to careers in journalism, but are just starting out and are looking for more experience -- and they also believe that Web journalism is the way of the future. They all are big fans of The Batavian, so they stepped forward to offer to help with local news coverage. We're not yet to the point of hiring staff writers, but we asked them if they would take on the volunteer role of "correspondent" and either cover a beat or be available for occasional assignments. Tasia Boland should be a familiar name to long-time readers of The Batavian. She was an intern for us last semester and after taking a break, she's back with The Batavian covering a variety of assignments. Tasia is originally from Wisconsin, but moved to New York in 2002 and currently resides in Batavia. She graduated from Brockport with a Bachelor's Degree in Journalism. 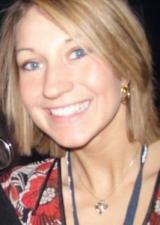 Brittany Baker grew up in Genesee County, graduating from Oakfield-Alabama High School in 2004. She started her journalism education at GCC and went on to Buffalo State College then SUNY Brockport where she earned a Bachelor's Degree in Communications - Broadcasting, with a minor in English. Her career goal is to become a TV news anchor at a WNY station. Brittany is covering Oakfield and Alabama for The Batavian. Gretel Kauffman first approached me and Billie at the Muckdog's home opener about doing an internship with The Batavian this summer. She is interested in a career in journalism. Gretel is a sophomore at Elba Central School. She has published poems in various magazines. She is the daughter of Bill and Lucine Kauffman. Gretel is covering community events in her hometown of Elba. We're always on the scout for people interested in being correspondents for The Batavian. If you have a particular area of Genesee County you would like to cover, contact Billie Owens: billie (at) the batavian(oneword) dot com. I would like to welcome all three young volunteer stringers to the Batavian and I was especially looking forward to Gretel's coverage of the Rolling Pin Throwing Contest at the Elba Onion Festival. Bummer, it was discontinued due to rising medical expenses. What's a cracked skull, really? I mean if everyone is having fun, who cares? Have fun ladies, and tell us about it, please. George - you always make me smile:) I especially liked yesterday's post where you encouraged us to embrace bats. Kind of gave me a whole new perspective. And yes, welcome girls and good luck. I look forward to your stories. Welcome ladies. This may be a small county, but plenty to cover. Good luck.